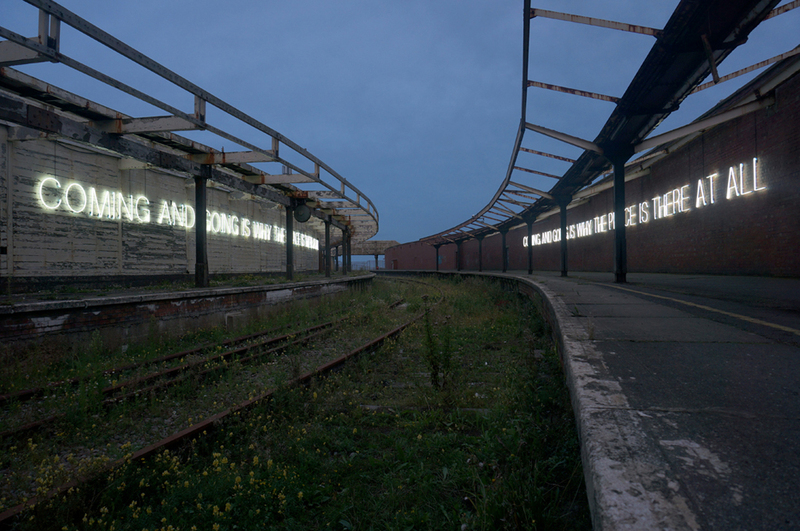 Commissioned for Folkestone Triennial 2014, Etchells presents a work in the former Harbour Railway Station. 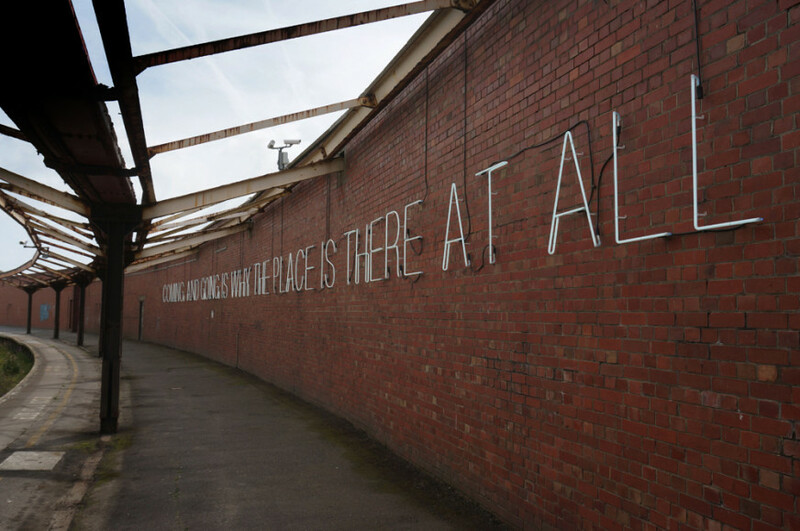 The derelict site is extraordinarily evocative of its past, once swarming with travellers. 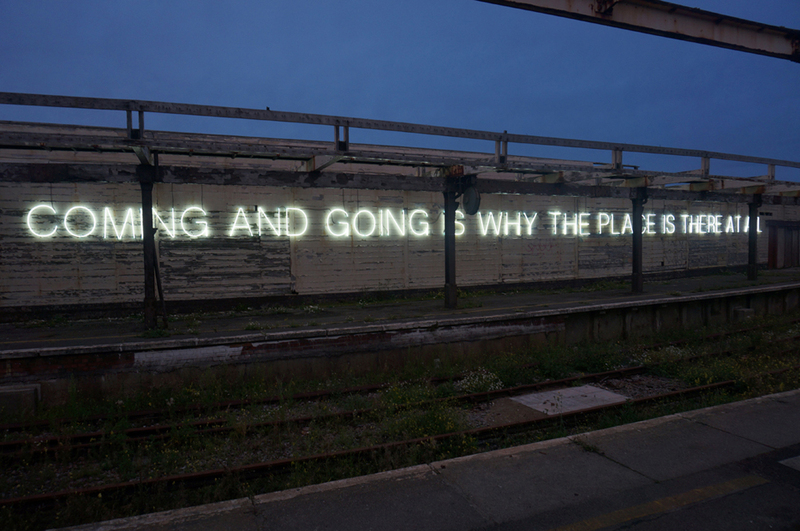 Etchells’ work Is Why The Place lines the curving platform walls of the station, left and right, with a large scale neon text that recalls and meditates on the station’s former activity and questions its future. The formal qualities of the site are reflected and amplified by the text itself to create a highly crafted poetic and poignant intervention. With his two-part neon sculpture, Etchells asks us to think about Folkestone’s historical connection to travel and trade. 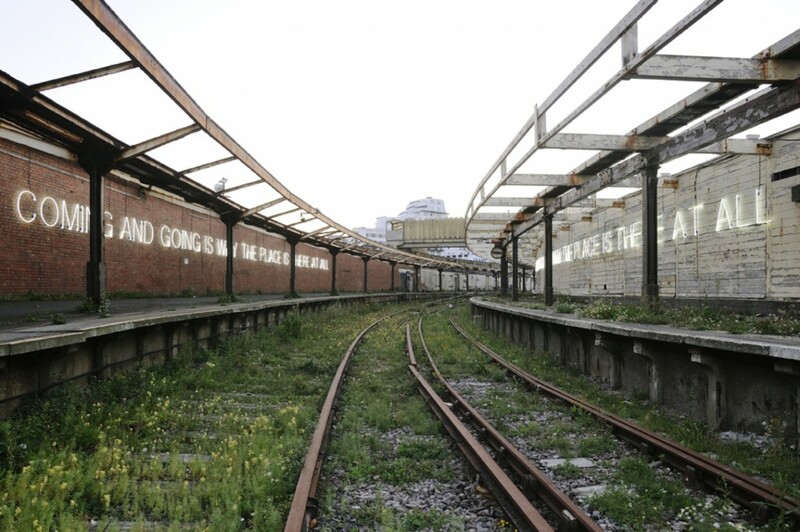 Occupying the two platforms of the abandoned station Etchells’ work refers both to its specific location and to Folkestone’s origins and development as a settlement. Is Why The Place invokes the harbour’s importance for fishing, trade and travel – celebrating the town’s past role as a point of transit, and the connection between place (stasis) and movement. 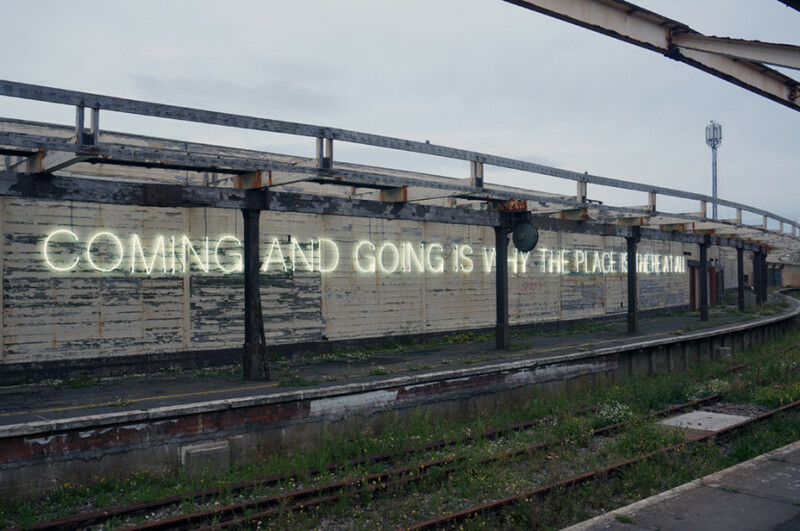 In its evocative setting the phrase that makes up this work is repeated, running in two parallel directions, as if the text is both entering and departing the station, playfully mirroring the arrival and departure of so many trains, goods and travellers in the past. 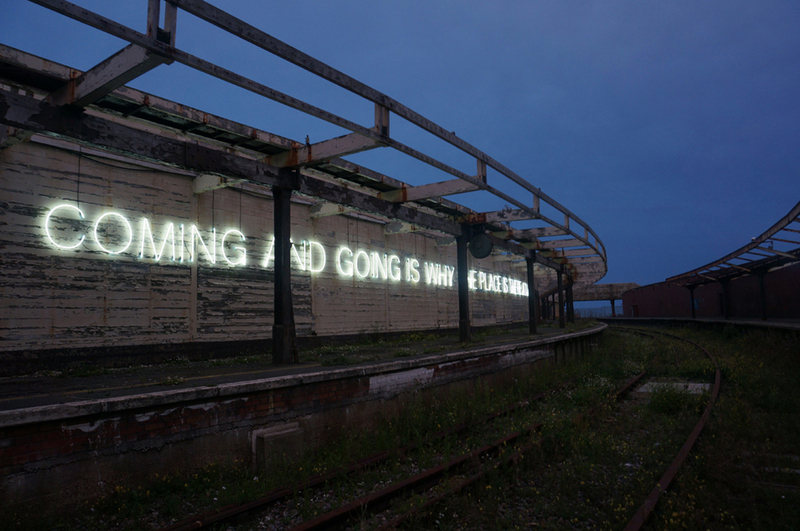 The installation at Folkestone Harbour – a focal point for war-time shipments and logistics – connects the playfully doubled phrase of Etchells’ work to its immediate surroundings, placing it in dialogue with the low-key daily comings and goings of the present time, evoking previous eras of arrival and departure, and encouraging a focus on the future of the town that is so connected to processes of human movement and change.